Bhai Sahib was born in a Dhamman Khatri family of Sodhara in Sialkot district (now in Pakistan). Bhai Kanhaiya ji, a disciple of Sikh Guru Gobind Singh ji, was visiting Anandpur in Punjab when Anandpur was under attack in 1705 by the Mughals. During the Battles of Anandpur, Bhai Kanhaiya ji would go around and serve water to all fallen soldiers, to the wounded and dying men in the battlefield, regardless of who they were. Guru Ji gave Bhai Kanhaiya a hug and said, Khalsa Ji, he is not a traitor, but has a pure heart and see’s God in all. Now, the Bhai Kanhaiya Mission is involved in spreading the principals followed by the devout Sikh who served under both Guru Teg Bahadur and Guru Gobind Singh. It runs day care centres, dispensaries, diagnostic centres, old age homes and holds blood donation camps. Sir Henry Dunant adopted the same concept later during the war of Solferino in 1859 and it became the basis for the Red Cross movement. Bhai Ghanaiya holds a very prominent place as a selfless servant of humanity. In a sense, he can be called the visionary for the establishment of the International Red Cross which formally came into existence later on. In this context, it is a commendable move by the Punjab government to celebrate his birthday on September 20, 2017 as the Manav Sewa Diwas. For this gesture, Punjab Chief Minister Captian Amrinder Singh and his colleagues deserve our thanks and appreciation This recognition of Bhai Ghanaiya should serve as a great motivator for the youth to learn and appreciate the life and work of this great philanthropist. Bhai Ghanaiya’s birth anniversary included special camps throughout the state focusing on blood and organ donations. There was emphasis on programs/campaign against drugs and AIDS. Bhai Ghanaiya, a devotee of Guru Gobind Singh Ji, was born on September 20, 1648 at village Sodhra near Wazirabad now in Pakistan. Since early childhood he was actively involved in serving the needy and downtrodden. As a young man, Bhai Ghanaiya got opportunity serve water to the public with Guru Teg Bahadur Ji’s blessings. He continued to serve under Guru Gobind Singh Ji. When Guru Gobind Singh Ji was engaged in battles with the hill chieftains and the Mughal rulers, Bhai Ghanaiya was given the responsibility to serve drinking water to soldiers wounded on the battlefield. Naturally, during these battles there were a large number of wounded soldiers on both sides who were in immediate need of water and first aid. To his credit, Bhai Ghanaiya served every wounded soldier, friend and foe. Seeing this, someone complained to Guru Ji that Bhai Ghanaiya was also serving the enemy soldiers. Guru Ji summoned Bhai Ghanaiya and asked him if the complaint was true. With folded hands and respect Bhai Ghanaiya replied:” Graceful Lord, you taught us the lesson of humanity, universal brotherhood and serving the humanity without distinction of caste, colour, race or creed. I did not find any enemy or alien soul there. I saw you incarnated in every image and offered water to none but your kind self. “Guru Ji was very pleased to hear this and provided some ointments, medications and dressings to Bhai Ghanaiya and encouraged him to carry on his mission. Thus, in 1704, Bhai Ghanaiya laid the foundation of service to humanity long before the formation of International Red Cross in mid 1860s. In the later years of his life, Bhai Ghanaiya dedicated himself to the cause of establishing charitable organizations /inns and digging of wells. 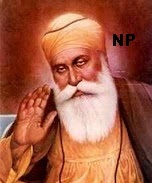 He passed away in 1718 at age 70 and left behind a unique movement of Sewa Panthis. The philanthropic services started by this great human being are being carried on by numerous volunteer organizations in many countries including India and Canada. A number of societies bearing his name have been doing a commendable job in serving their fellow human beings. In this context, the decision by the Punjab government to honour this great personality by declaring his birthday, September 20 as the Manav Sewa Divas (Service to Humanity Day). He is a great role model for millions of people around the globe.